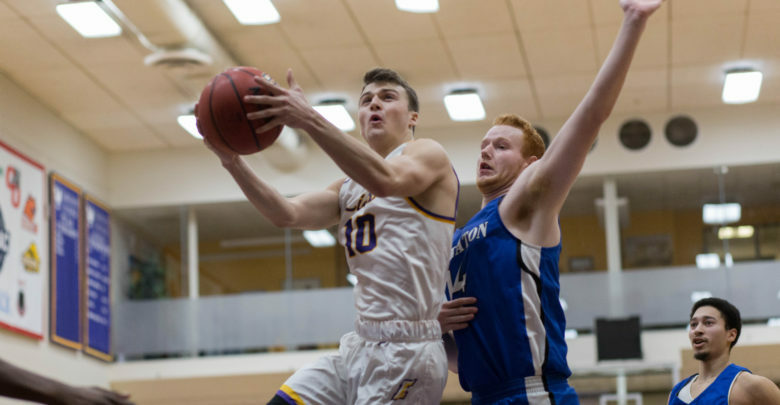 The men’s basketball team lost 88-79 Wednesday night in a showdown against New England Women’s and Men’s Athletic Conference opponent Wheaton College—the Lions’ first home loss since December. The pace of the game began slowly, as Wheaton locked the score at 1-0 for the first minute and a half. It quickly picked up as Emerson had three blocks, and Wheaton took over with offensive rebounds. The competitive first half ended with a 34-30 Wheaton lead. Emerson only had 11 rebounds compared to Wheaton’s 22. Wheaton came out strong in the second half, outscoring Emerson 7-3 in the first three minutes. 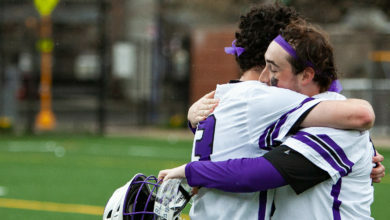 The Lions continued to fight back—whenever Wheaton had built a lead for themselves, Emerson found a way to get right back in the game. When it seemed the Lions had a chance to pull off the comeback, they committed two technical fouls, giving Wheaton a total of seven points in free throws. In a post-game interview, Wheaton head coach Brian Walmsley expressed his delight with his team’s performance. “For our guys to have the character to come here—which is a very tough place [to play] and pull out a tough win—says a lot of character about this team,” Walmsley said. Walmsley said one of Wheaton’s main goals in their second-half adjustments was to limit Emerson’s three-point shots. The Lions made 42.9 percent of their three-point attempts, and senior guard Geoff Gray made only one of four attempts. While Wheaton moves on with a needed victory, Emerson will look to break their two-game losing streak against No. 6 NEWMAC-ranked Springfield College at home on Saturday, Feb. 2 at 3 p.m.